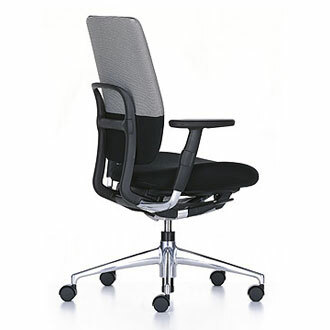 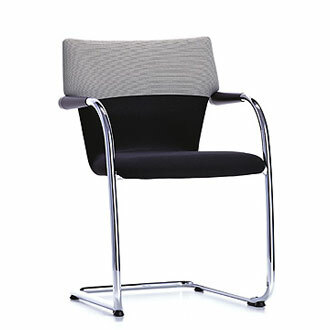 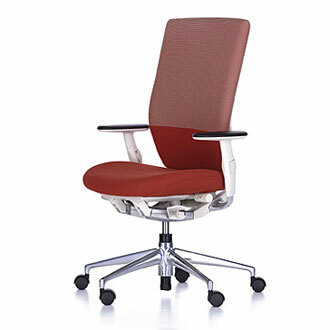 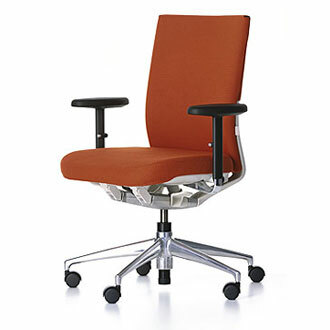 The visitor and conference chair Visastripes is an ideal complement to the Oson series of office chairs. 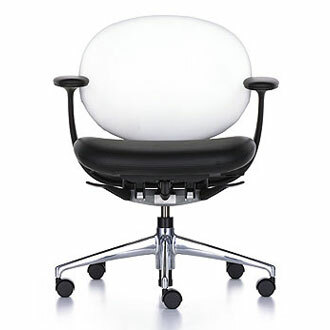 The cantilevered base, in combination with the suspended single shell of the seat and back, offers superior seating comfort. 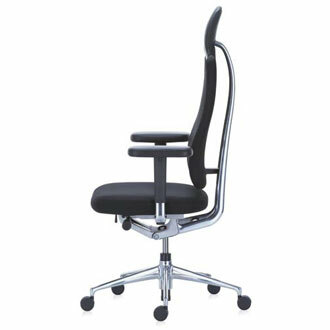 Thanks to the one-piece shell construction, the lower back receives adequate support, while the flexible upper edge of the backrest allows freedom of movement. 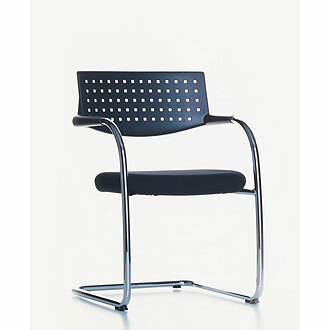 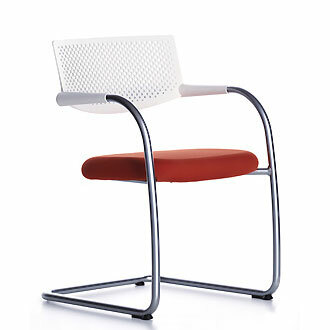 The backrest consists of two lateral frame elements covered by an upholstered mesh sling. 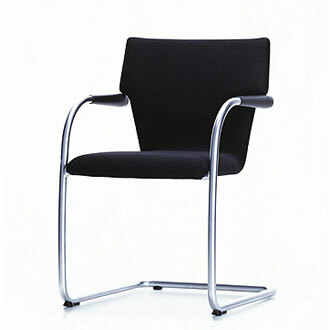 It gives slightly in response to pressure and adapts to the shape and movements of the sitter. 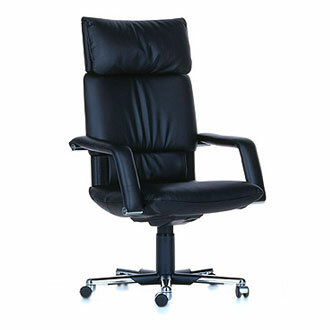 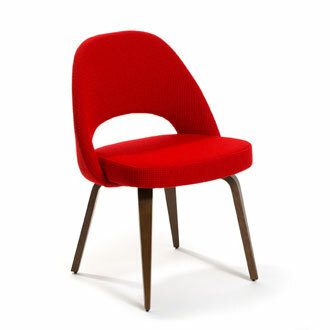 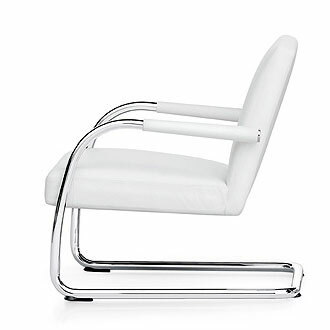 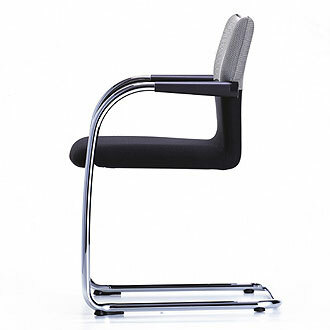 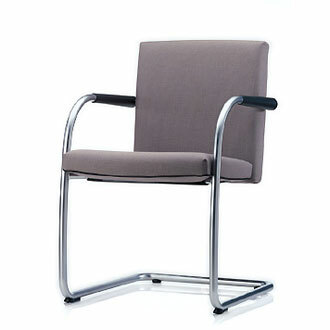 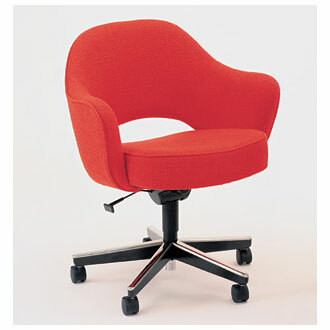 The seat and back are generously proportioned; the frame has integrated armrests. 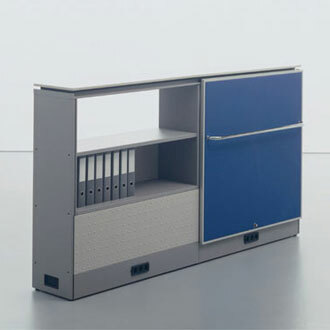 For contract use, Visastripes is also available in a stackable version, with connectors and an optional writing tablet. 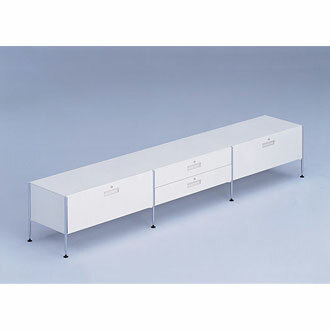 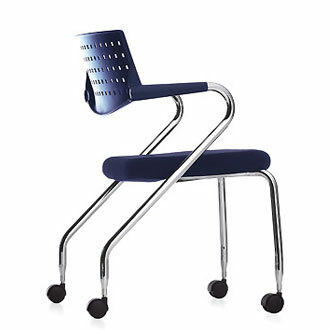 Cantilevered base made of tubular steel: chrome-plated, satin chrome finish or epoxy-coated in basic dark coloured finish. 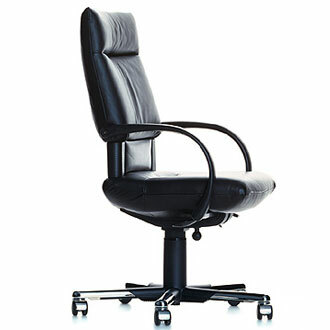 Integrated armrests with black plastic armpads. 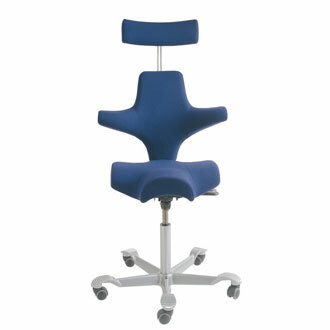 Seat and back shell made of polyamide; polyurethane foam padding with knitted textile cover. 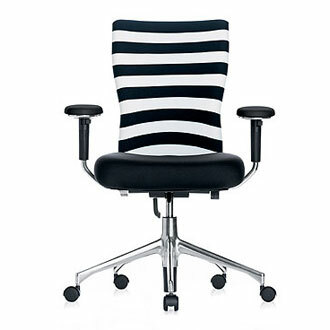 Cover fabric Oson, with bi-coloured stripes or in solid black. 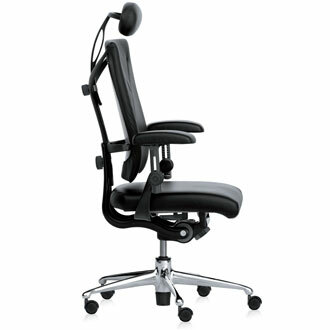 Versions: stackable, with connectors, with writing tablet (optional).